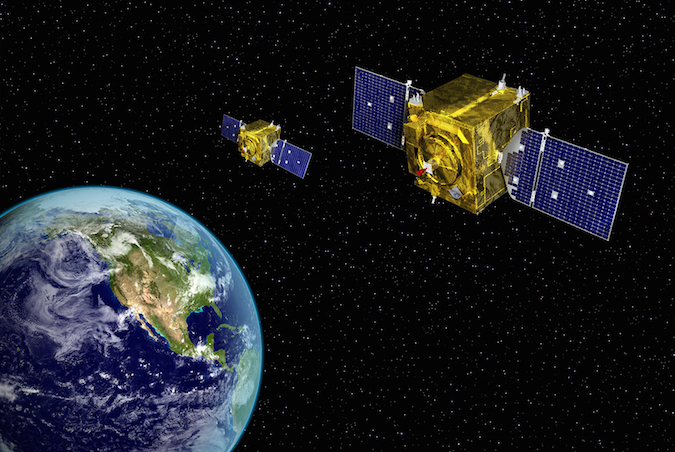 Not only can the surveillance platforms help the Air Force track objects in geosynchronous orbit — a capability needed to manage traffic and avoid collisions — the GSSAP spacecraft can adjust their orbits to approach and image other satellites using sharp-eyed optical cameras. 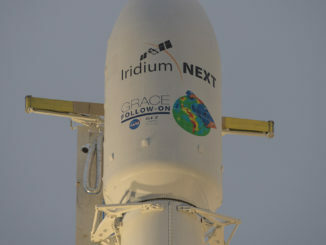 “Data from GSSAP uniquely contributes to timely and accurate orbital predictions, enhancing our knowledge of the geosynchronous orbit environment, and further enabling space flight safety to include satellite collision avoidance,” officials wrote in the Air Force’s official GSSAP fact sheet. 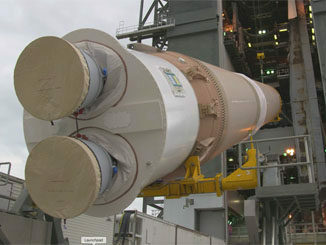 The Air Force sent one of the GSSAP satellites to the aid of a crippled U.S. Navy communications satellite last year. The Navy’s fifth MUOS relay satellite ran into propulsion trouble after launch, forcing it to use backup thrusters to climb into its perch in geosynchronous orbit. 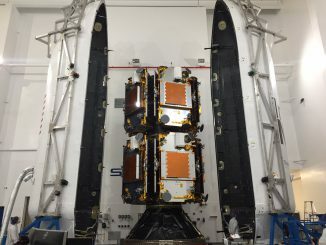 The GSSAP satellite changed course to capture imagery of the MUOS 5 spacecraft to give engineers insight into its status and condition, the Air Force said. Gen. John “Jay” Raymond, head of Air Force Space Command, said April 4 that the GSSAP mission, which was classified until early 2014, helps ensure the U.S. military can continue operating its vital national security satellites in geosynchronous orbit, even in a potential war against an adversary with a sophisticated military space program. “If you look at the way we do SSA (Space Situational Awareness) today, it was really built for a benign domain,” Raymond said in a speech last week at the 33rd Space Symposium in Colorado Springs. “It’s largely built around a catalog. “Knowing where something is in space in a benign domain is good enough, but in a contested domain it is not good enough, and we’ve got to figure out how to shift the focus of SSA from cataloguing to warfighting,” Raymond said. For Orbital ATK, the contract to build two more GSSAP satellites helps offset a weak commercial market, keeping the company’s engineers busy and satellite-related revenue steady as industry-wide demand has waned from the traditional major commercial geosynchronous satellite operators. “The same engineering teams, the same manufacturing and technician experts, and the same facilities are used whether the mix is weighted towards commercial satellite as it was some years ago, or towards government satellites as it was last year and probably will continue to be,” said David Thompson, Orbital ATK’s president and CEO. In addition to the new business in the GSSAP program, Orbital ATK won a contract last year from NASA to build the Landsat 9 land imaging satellite set for launch in December 2020, and the firm has a lucrative contract to resupply the International Space Station through 2024.